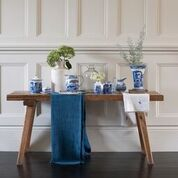 Home store:Janine is passionate in selecting elegant and timeless designs. We personally select and curate the furniture and accessories in various styles such as contemporary, Chinoiserie, European, modern, quirky and traditional. 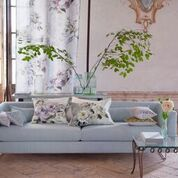 At Janine we are there to provide in house advice to our customers who may need help with furniture or fabric selection, home decorating and furniture layouts. We also offer design consultation for residential and commercial projects. 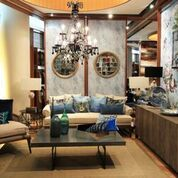 Founded in 1982 by Datin Gaik Merican, Janine over the past three decades has emerged as a leading retailer in home furnishings and design with its ability to understand and adapt to changing times. Managing Director Karina Merican now runs Janine where you can source furniture, fabrics, lighting and wallpaper collections as well as various home decor.